Nay, sa ASA boss ka! ASA Philippines is a non-profit, non-stock corporation specializing in microfinance. The first branch set up by the Foundation was in Camarin, Caloocan in August 2004, and as of today the Foundation has expanded its operations nationwide. The Foundation caters to more than 1.5 million clients who are called Micro Entrepreneurs. In the name of God, most beneficent and merciful! We left behind an incredible year during which we proudly served 1,753,871 client members, an increase of 221,176 clients compared to 2017. I humbly stand before our client members, those who have given ASA Philippines their trust and blessed us with dignity, honor and better financial capability. I deeply believe that we are "dedicated to better the life of the poor" though as it turns out the poor reciprocated more than we ever expected. This incredible performance enjoined us to be more dedicated to our mission to serve the poor. We are forever grateful to them. In our quest to find ways to serve them better, we reemphasized our client community services (CCS). In the year 2018 we spent over ₱377 million under CCS which is equivalent to 17% of our gross revenue or 7% of our net surplus. This ₱377 million is on top of the ₱1.30 billion in discounts we proudly repaid to the clients as rebates on their payments. This total rebate of ₱1.30 billion was made possible because of the tax rebate ASA Philippines received from the government through Republic Act No. 10693. Credit goes to our client members whom we recognize as our "bosses" as all those CCS funds and rebates come from their own contributions. In this world, whatever we do, be it commercial business or social work, we capitalize on human relationships in combination with our ethics and faith. It is people who make everything possible and it is our faith in God and in our people which make us strong. Our success is deeply rooted in the invaluable relationships established between our client members and our staff. Therefore, major credit goes to our staff, in particular our Micro-Finance Officers (MFOs), our heroes who made this wonderful success a reality. It is our MFOS who risk their lives every working day, drive long distances to serve the neglected poor in very remote areas. I commend all my managerial colleagues who led our hero MFOs in the right direction. Their leadership enabled us to grow our portfolio by 31% from ₱13.44 billion in 2017 to ₱17.66 billion in 2018. Their calculated risk-taking and their ability to inspire our BMs and MFOs were major factors in our success. As almost all of our staff come from a less privileged background, we are an ideal example that the poor can help themselves, therefore ASA Philippines is an effort "of the poor, by the poor, for the poor ". It is time for us to look into other services we can provide to our clients, what more we can contribute to society. Our intervention in Marawi, helping to rebuild the city with a CCS budget of ₱17 million, shall be replicated in 2019 in other parts of Muslim Mindanao. We hope these interventions will help in the peace process in the areas where peace is elusive. Wishing all a great year in 2019! SMALL banks and microfinance institutions (MFIs) in the Philippines are realizing the importance of digital technology to achieve higher degree of operational efficiencies, and are seeking to offer more services to the unbanked and underserved portion of the country’s over 100 million population. In the southern island of Mindanao, nestled by the shores of Lake Lanao, lies the Islamic City of Marawi. At an elevation of 700 meters or 2,300 feet, it has a cooler climate compared to most other areas in the Philippines. Small banks and microfinance organizations in the Philippines are slowly moving into digital technology as they pursue operational efficiencies while seeking to offer more services to the unbanked and underserved portion of the country’s over 100 million population. DIIT, AGUTAYA, Palawan —After being “in the dark” most of their lives, 120 households in the island of Diit, a barangay of Agutaya town northeast of Palawan province, began enjoying power from the sun last August, thanks to the free solar power systems provided by microfinance foundation ASA Philippines. MANILA, Philippines - For decades, a number of households in Barangay Hiluctogan in Mahaplag, Leyte have resorted to open defecation, exposing residents to serious health risks. 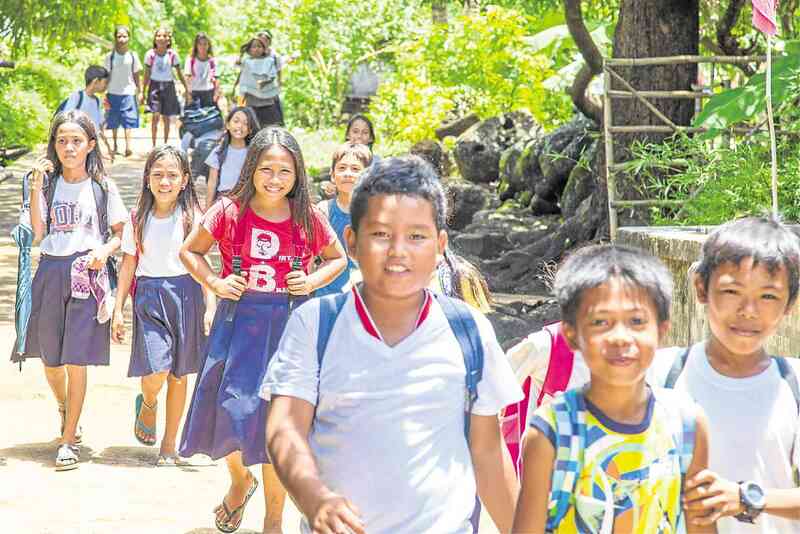 In the absence of toilet facilities, the forest enshrouding the remote barangay served as the residents’ public restroom for their daily relief for many years. 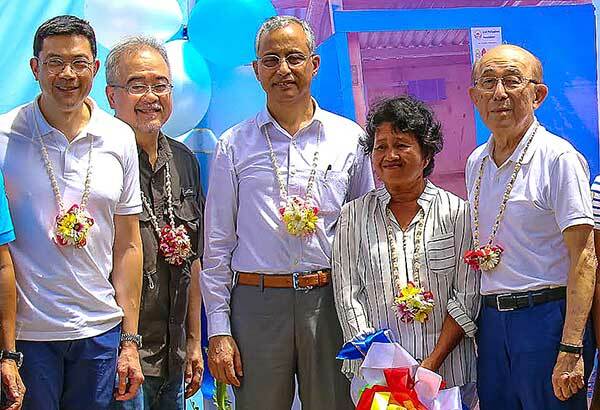 ASA Philippines, a microfinance NGO, recently announced it will issue PHP 2 billion (USD 40 million) in bonds to fund new and existing projects through 2021. One of these is lending to women entrepreneurs in amounts from PHP 6,000 (USD 119) to PHP 10,000 (USD 199) with a flat interest rate of 15 percent for six months. ASA staff will visit borrowers weekly to collect payments in the amount of PHP 50 (USD 1) for each PHP 1,000 (USD 20) borrowed. Fely Bocanegra, a vegetable vendor at the Santa Ana public market in Manila, relies solely on the ever-present Indian money lender for her daily business capital. Under the usual setup, a 20-percent interest is charged to the borrower payable up to 30 to 40 days, and collection is made on a daily basis. The Credit Guarantee & Investment Facility (CGIF) has successfully backed the issuance of a PHP1 billion (US$20 million equivalent) local currency bond issued by non-stock non-profit organization ASA Philippines Foundation, Inc. (ASA) with a 75% partial credit guarantee. MANILA, Philippines - Microfinance non-government organization ASA Philippines Foundation is issuing P2 billion in corporate bonds to expand its lending activities to about two million women-led micro, small and medium enterprises (MSMEs) across the country. This is the largest issuance by an individual microfinance institution so far. IT'S THAT MOST WONDERFUL time of the year again. Christmas carols are playing, sparkling lights and colorful ornaments decorate stores, houses and streets and there is that distinctive nip in the air. For the Scrooges among us though, bahhumbug - what's that fuss? Work continues. Wharton Social Impact "Alumni Perspective: Financing that Values People"
Marilyn married her boyfriend Regis when she was just 18. They went on to have four daughters, living in a small dwelling by the sea in Tacloban City, Leyte. Regis worked as a mechanic and also drove a passenger tricycle owned by someone else for a living. Winning the top award, which came with a P300,000 cash prize, was ASA Philippines Foundation Inc., a non-stock, non-profit organization providing affordable financial services to low-income women engaged in micro and small scale enterprises. ASA Philippines was also conferred the Best MFI Intermediary and Best MFI Availer awards. Typhoon Haiyan, one of the strongest tropical cyclones ever recorded, struck Southeast Asia in early November 2013, creating unspeakable devastation. In the Philippines alone, where the typhoon’s wrath was concentrated, over six thousand people lost their lives.